Rachel Gendron – Ladyfest Montreal! Hailing from Portland, Maine, Rachel has been charming audiences all over the North-East with her astute observations about life as a white girl and uncanny impersonations of her parents and c-list celebrities! Currently living and thriving in the Montreal scene, she is the co-creator of The Downstairs Mix-Up and Alohaha Comedy Show. 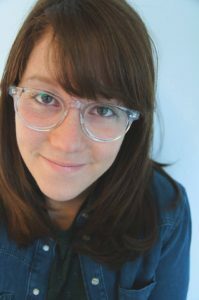 Most recently, Rachel was featured among the “Young Guns of Comedy” at Montreal’s Comedy Nest and was showcased at Toronto’s SheDot Festival earlier this year. Rachel will also be appearing in the ZooFest: Off-JFL Festival this summer in Montreal.